FitnessRX for Women > Training > On Deck with Callie > Should You Go To The Chiropractor? When people ask me if they should go to the chiropractor, the first question I always ask is, “Well, do you have a spine?” And if the answer is yes, then we’re off to a good start! I know you’re probably thinking it can’t be that simple! Well, guess what? It kind of is. Think about it— you have eyes, right? So you go to the eye doctor for check-ups. You have teeth, so you go to the dentist. So who is checking your spinal health? No one— so are you just basing it off how you feel? This is never a good idea. Most of us know someone who felt fine one day and something awful happened next, like a heart attack or a stroke. Health is much more than how you feel; it’s also how you function. Now the tricky thing with function is it that it doesn’t “yell” as loud as “feel” does, and it can also send confusing messages. So oftentimes, it can be overlooked. This is a good place to start. You might say that the spine keeps you upright, helps you walk, etc. These are all true, but it also controls everything in your body— your spinal cord and nerves run through it. These are constantly sending and receiving messages, which go from your brain to whatever part of your body they’re trying to “talk” to. 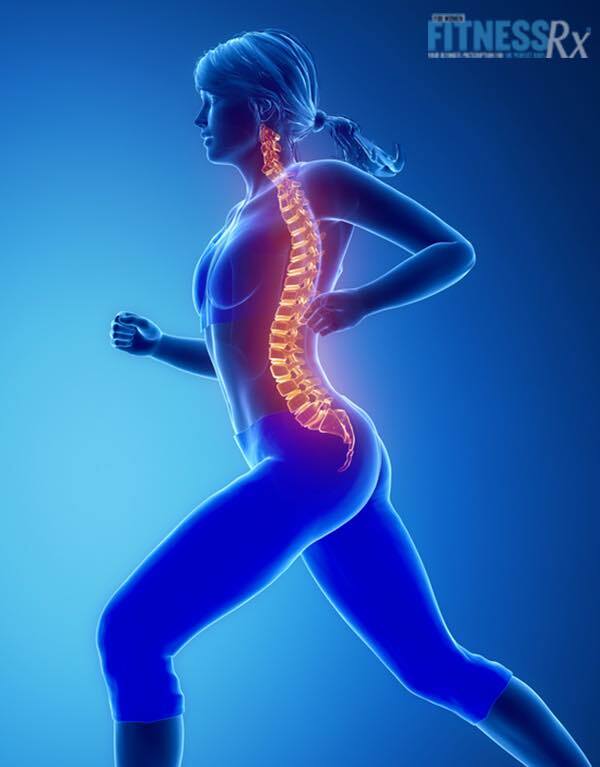 The bones in your spine are designed to move so we can do all the things we do, like run, lift weights, etc. Now, because they can move, they can also shift out of place, and when this happens they put pressure on your nerves. You may be thinking, so what? I don’t blame you; I felt the same way at one point until I understood what the nerves do— which is only, well…everything! If you want to take a drink of water, go to sleep, breath oxygen, etc., these are all messages that are sent through the nerves. So for example if there is pressure on the nerve that is trying to tell your body to sleep, you will have a more difficult time getting a good night’s rest. While it’s true that chiropractic is known for its effective treatment of back pain, it’s also excellent for taking pressure off your nerves. If you feel pain, your body is telling you that there is in fact pressure on a nerve. By removing the pressure, it will allow your entire body to function at a higher level, because that information your body is trying to send is no longer blocked by bones that are out of alignment. I actually learned this firsthand, as I grew up in a family of medical doctors, so I was never exposed to chiropractic. But about three years ago I started getting regular chiropractic adjustments. At the time I had no health issues, no back pain, no problems sleeping, no headaches— nothing! I was getting adjusted every week, and was really pretty skeptical about the idea. But after a few weeks, I started noticing I had more energy— most noticeably because I was prepping for a competition, and that’s when I normally start to feel a little run down. But this time, I didn’t ever get to that point. Also I was getting sick less— about a year had gone by and I realized I hadn’t gotten sick. I was sleeping better— even though I didn’t have a problem sleeping, my quality of sleep was improving. There were so many improvements, so I kept going, still not sure if it was the adjustments or maybe just my diet, training, etc. Then I was away for a few weeks traveling and I was unable to get my regular adjustments. That was when I realized how much they were actually doing for my body. I was getting little pains here and there in my neck and back where I could now feel where the bones were putting pressure on my nerves. I realized all that time before I was getting adjusted, I was just accepting the way I felt and functioned because I didn’t know any better. But since being adjusted regularly, I started to function and feel the way my body was designed to. The difference was really pretty incredible— now I try to never go more than a week without an adjustment. So my advice is if you have a spine, then, yes, you should be seeing a chiropractor! To find a good chiropractor in your area, ask around and/or Google at least three offices and go in for consults. They are usually complimentary, but make sure you ask a lot of questions, and you will quickly know who the right chiropractor for you is. Lastly, remember a dentist would not drill your teeth without an X-ray, and the same should hold true for a chiropractor— they should always take an X-ray or reference one you may have had recently, before ever adjusting your spine. There are a small number of people who cannot be adjusted, due to pre-existing conditions or other complications. This is why the X-ray and consult are VERY important and should not be skipped before any manipulations of your spine. If you have more questions about chiropractic, I’m happy to help— just ask!